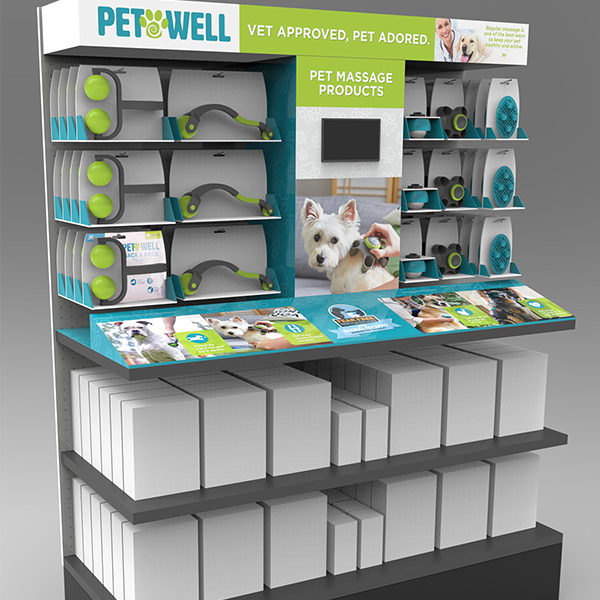 Transform the top half of the end cap into a Pet Massage Wellness zone introducing the Petwell brand and it’s new line of massage products. Develop brand and product insight themes to communicate the benefits of pet massage to pet owners. 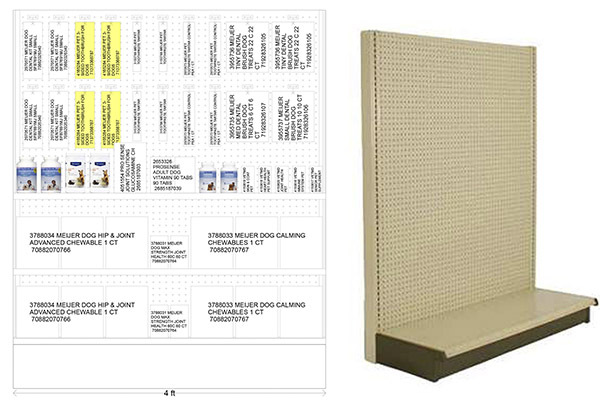 Convey these insights with graphic imagery fit within the display structure for the products. The top header introduces the Petwell brand as the Vet Approved Choice and trusted market leader. The individual product navigation and information appears at the bottom and emotion based imagery and video in the center column conveys the joyful spirit and improved pet health brought about when these products are used.